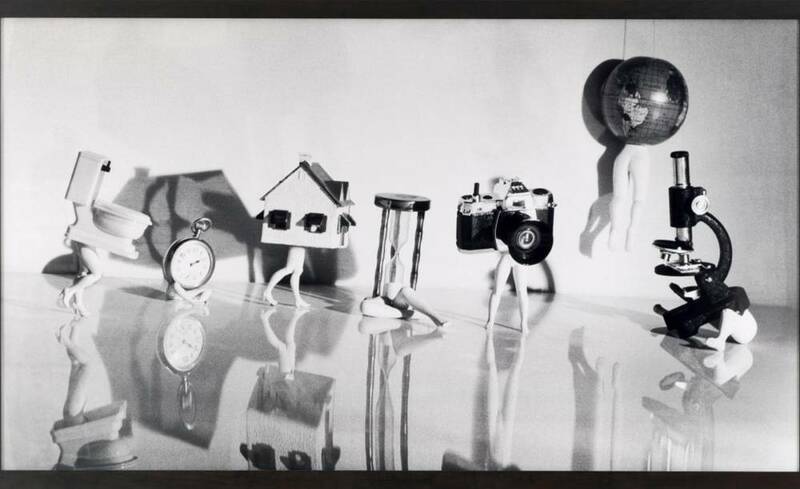 Back in the 1970s Laurie Simmons took a job in a factory which produced dolls and dollhouses. This was a determining step for her career, since she used the miniature objects for her own artistic work. 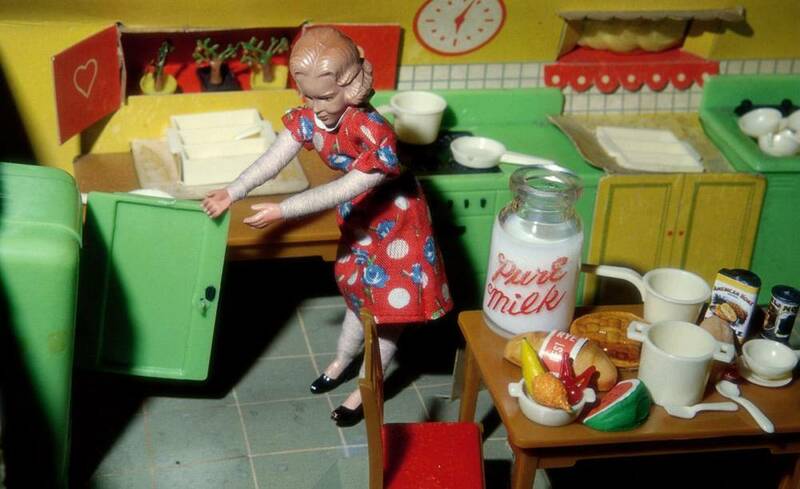 She started to take photographs of everyday scenes, which she recreated with the toys. Laurie focused on her own experience during her childhood in the 1950s. The motives were defined by stern gender roles and the domestic ideal of the time – channeling the myth of the American dream. Laurie soon moved on from her employment in the factory to being a full-time photographer, but dolls remained a recurrently element in her work. She always enjoyed working with dolls, because she was constantly able to keep the control. Also she wanted to confuse her audience whether the scenery was life-sized or not. During the late 80s and the early 90s she created her series “Walking and Lying Objects”. A surreal combination of doll(-like) legs and lifeless objects like houses, cakes and accessories. In 2014, Laurie revived the project in a new series of “Walking Objects“, as well as for photographs for Chanel in 2005 and a few award trophies. For her book “The Love Doll”, Laurie documented her days with an high-end love doll from Japan. During the shooting of her first video work “The Music of Regret” (2006) in Tokyo one of her children drew her attention to a poster for the lifelike dolls. She immediately felt that this was exactly what she was looking for her entire life. The series covers their relationship from the day the doll got delivered onwards. The result is an illustration of the evolving relationship between the doll and the artist – and later between the first doll and the second one, which arrived one year later. This project took her work to a spooky new level of realism. One of her latest photographic projects from 2015 “How We See” shows models with doll-eyes painted over their closed eyelids. The unearthly look give the observer the impression that the young girls are staring through their closed eyes. The inspiration behind this project were the problems of self-worth and identity that afflicts the fragile modern-day society. 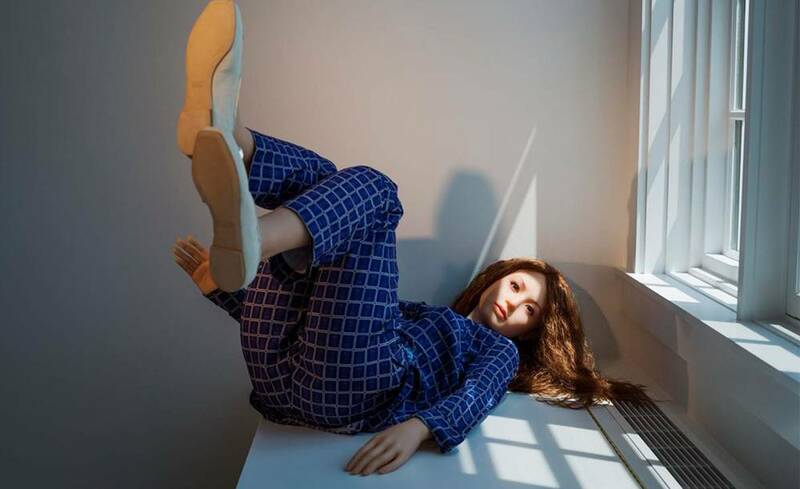 Laurie alludes to the online phenomenon of the “Doll Girl” culture, a community of people who alter themselves to look like their idols, such as Barbie, baby dolls, and Japanese anime characters. The sacrifices that are made to reach the idealistic look comprise from make-up and dresses, up to plastic surgery. 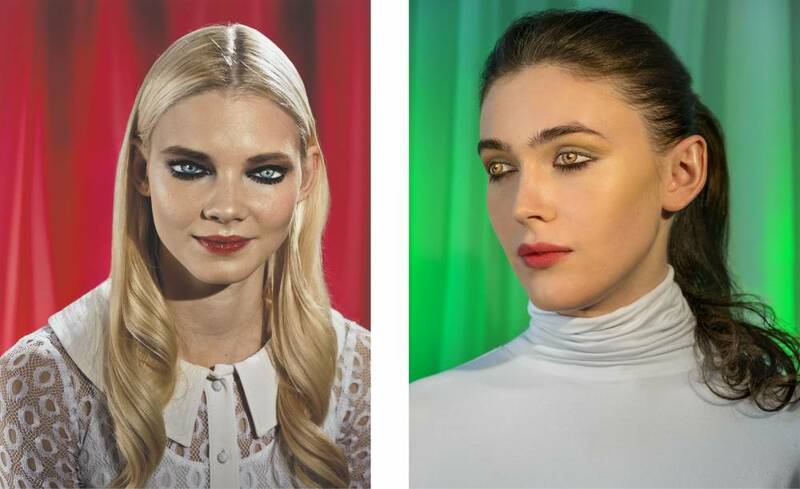 To complete the overview about Laurie Simmons’ artistic biography, we want to recommend her film “My Art” (2016), which was written and directed by herself, as well as her being the main character. The feature-length film about an artist from New York portrays her relationship to her work, as well as Laurie becoming the performer of an identity, the artist, the object. All of the mentioned projects and more are part of a current retrospective “Big Camera/ Little Camera” by the Modern Art Museum of Fort Worth. For more info about the artist click here.